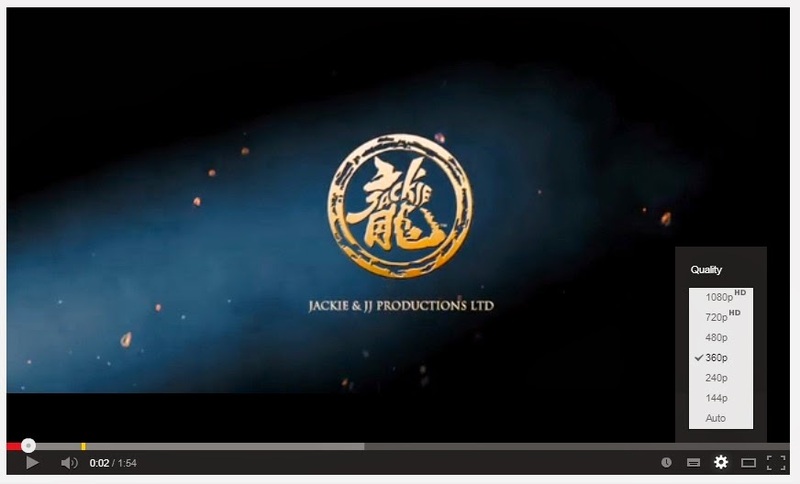 I'm having a problem with the YouTube player on Google Chrome that some videos play on the lowest quality. I clicked the Gear Icon settings but it only shows the Annotation. I refreshed the website but it doesn't fixed. I tried to play it on Incognito and Firefox and the player is just fine. The problem only exist on Google Chrome so I look for a solution. 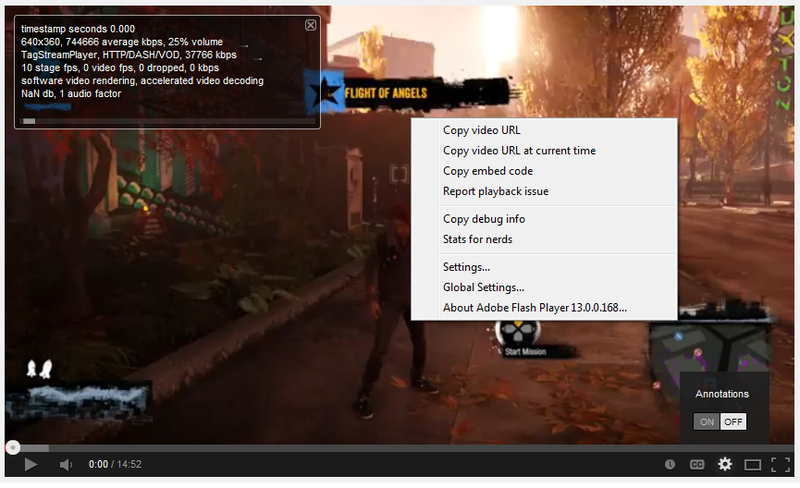 Luckily, I found a solution on this problem or maybe a YouTube bug. Make sure you logged out your account and all YouTube tabs are closed. 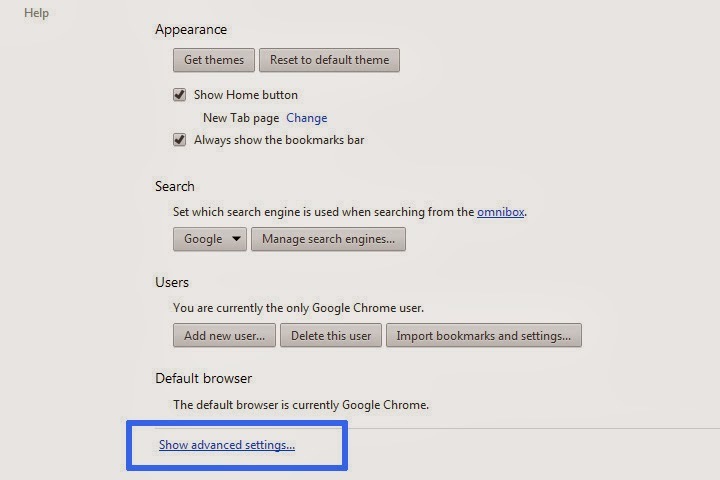 Go to Google Chrome settings and click Show Advanced Settings. 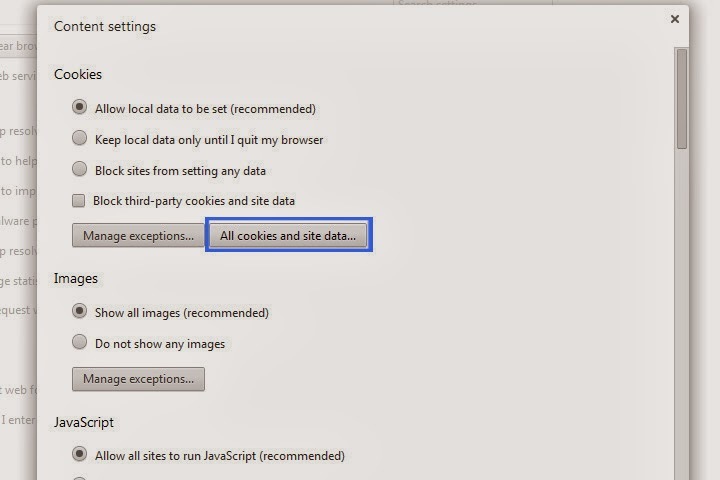 On Privacy, click Content settings button then click All cookies and site data. 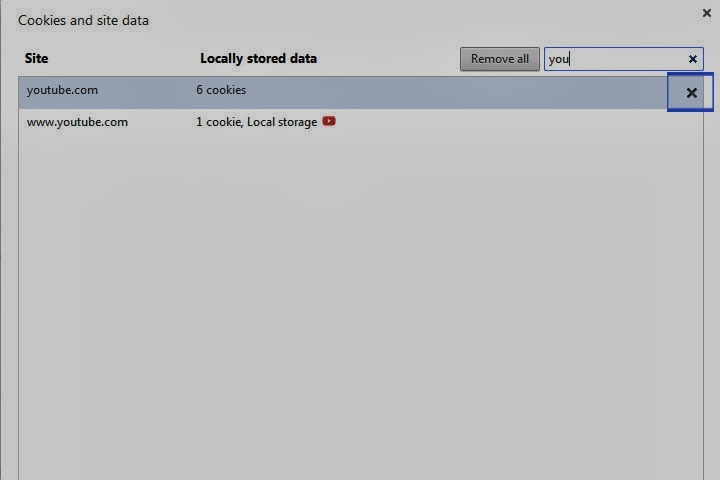 Search for YouTube and delete all of its cookies/data by clicking the 'X' icon. Now you have the Quality Settings/Options back and the problem has been fixed. This problem may not only exist on Google Chrome, some may experience it on other browsers. Enjoy watching YouTube videos! There was a problem with my computer that I didn't experience in my laptop. I was struggling with this annoying thing where some images are not showing or displaying in any web browser, like the image on the left. I hate that when a web page stops loading and you see there are other things that need to be loaded and you're not contented of what you're seeing. I mean, it's like "uhh, is that all?," then you keep on refreshing the page but it still gives you the same result, no image, some plugins or ads are not showing. It will ruin your day especially if you're a Publisher or Affiliate Marketer and you're placing ads on your websites then boom! it doesn't appear. It took me like three hours to solve this problem. I've read lots of solutions but it didn't work. Then I read this one solution by trying to check the Windows hosts file if there are some unnecessary texts. I also found that I have an application named SafeIP, free web proxy, and I'm sure it was the cause of my problem. I checked my hosts file and saw lots of IPs and I didn't remember what is written in there. I deleted it quickly and did not make a backup. 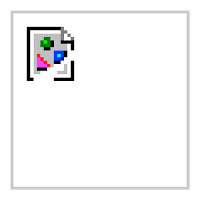 That's the other problem, I can't show you what is written in that file. But there is this words that I remember #SafeIP# and ends in #SafeIP Malware#. Well, I don't think it is a malware, because you know malware with a hashtag, who believes in that. The thing is, I just solved my problem. For those who are unfamiliar with hosts file, it is located here "C:\Windows\System32\drivers\etc". If the problem only exists in one of your browsers, you can try clearing your browser history, cache and cookies. 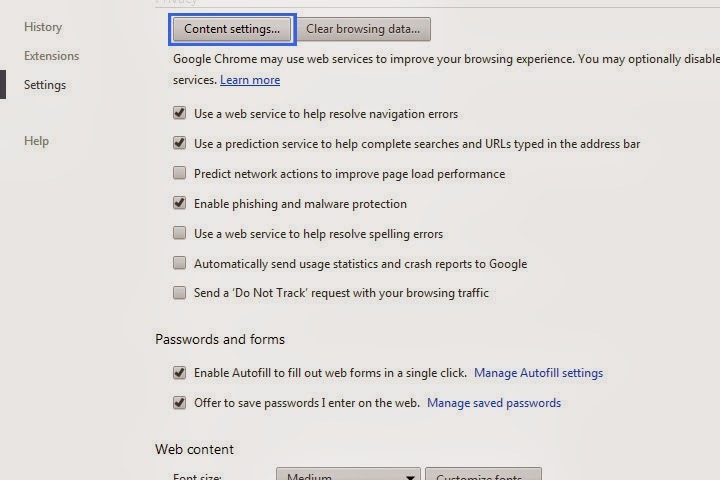 For Mozilla Firefox and Google Chrome users, just press Ctrl+Shift+Del and check everything you see. Don't ask me about Internet Explorer. Solution 2: Update Java and Flash. 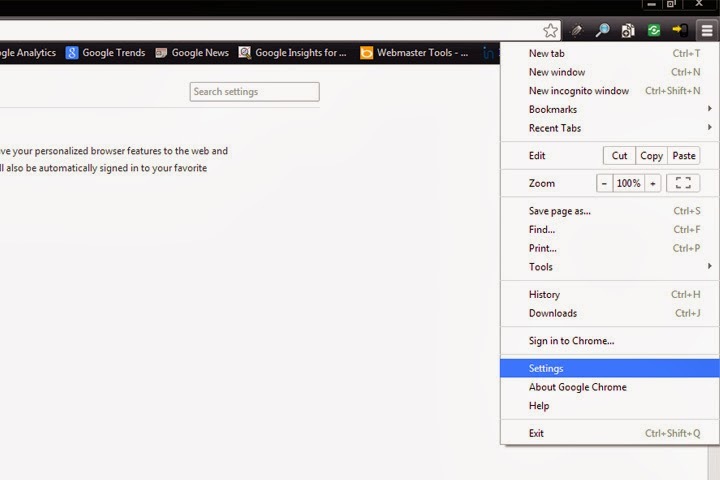 Solution 3: Go to Control Panel > Network and Internet > Internet Options > Advanced tab. Scroll down to Multimedia and check Show pictures. That's all I got for now. If you found another solution, please let me know. Are you having trouble transferring all the DotA 2 files from one PC to another? Follow these few simple steps to run DotA 2 in another computer. - Copy the "dota 2 beta" folder from "C:\\Program Files\Steam\SteamApps\common". If you are using Microsoft Windows 64-bit OS, the files may be found here "C:\\Program Files(x86)\Steam\SteamApps\common". If it's installed in another partition of the hard driver, try searching for this location "(Local Disk Letter):\\Steam\SteamApps\common". - Download and install Steam HERE. After installing, go to "Steam\SteamApps\" and you will see there is no "common" folder. You may create a new one or do this simple trick; Run Steam application and install any game you want. You will see the game starts downloading from your Library. Right click on it and Pause Download, then right click again and delete local contents. Go back to "Steam\SteamApps\" folder and "common" folder should be already there. - Exit Steam application and paste the "dota 2 beta" folder to "Steam\SteamApps\common\". Run Steam application again and click Library. You will see DotA 2 is not installed in your machine. (If you haven't seen Dota 2 in there, ask one of your friends to send you an invite.) Right click DotA 2 and click install. Let Steam discover all the files from your hard drive. And DONE! 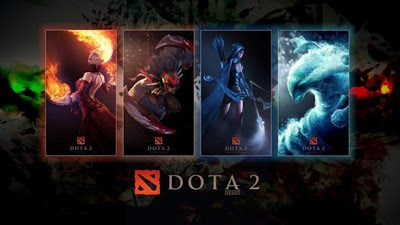 You can now play DotA 2 with your friends. UPDATE: DOTA 2 has finally launched after a two year beta with Abaddon, also known as Lord of Avernus, included in its recent update. Since the game has officially released, the following steps above probably won't work due to the changes in the game itself and the update from Steam. But this another tweak may help you to move your DOTA 2 files to another computer. - Open Steam application. Click Steam > Backup and Restore Games. - Select the game you want to backup. - Select a location/directory where you want to save your backup files and click continue. - Wait until it completely back up your files. - On the other computer, launched Steam application (download/install if it doesn't have). Click Steam > Backup and Restore Games. Then click "Restore a previous backup." Select a location and wait until the process is complete. Hope this will help. 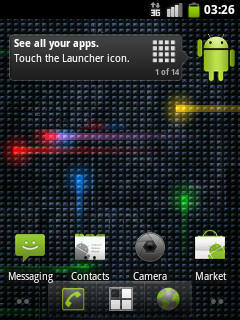 I have an HTC Wildfire running Android 2.2 Froyo. It is a budget friendly Android phone. It has a great user interface and fun to use. Unlike the previous version of Android (Eclair 2.1), Froyo allows you to install applications on SD card or move your 'installed' apps to SD manually to freeup space. The problem is, if you update your phone to Froyo 2.2, you'll get an S-On (Security Flag) in your device. In this case, you're unable to root your device. After a week of searching, I've found an easy way on how to get it rooted. The first thing you should do is BACKUP YOUR FILES. WARNING: Rooting the HTC Wildfire will void the warranty. Just follow the instructions below and have your phone rooted in less than 30 minutes. 1. Go to this website http://alpharev.nl/x/beta/ and download the Microsoft Windows version. 2. It will ask for a serial, enter your phone's serial number. "Go to Settings > About Phone." Then copy the code given. 3. Enable USB Debugging. "Settings > Application > Development." 4. Install the HTC Driver. Mine is in the SD card came with the phone. 5. Now extract and run the alpharevx.exe. Enter the code given earlier and connect your phone. It should detect your phone and display USB Debugging mode. 6. Once it's completed, you can remove your phone. 7. Turn off your phone, then press volume down + power button. 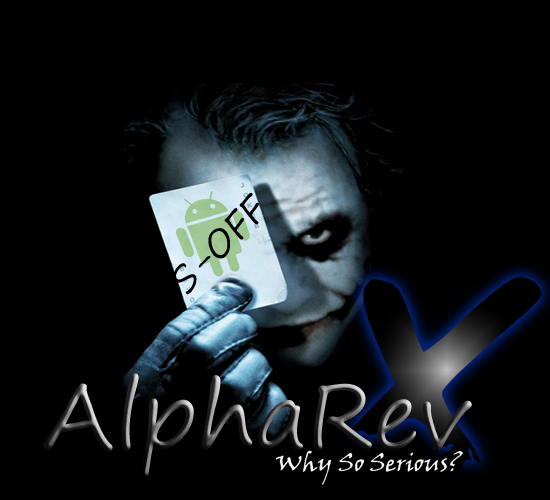 It should display AlphaRevX and S-Off on top of it. 2. Format your SD card to FAT 32 and add the downloaded file. 3. Go into HBoot Mode by pressing volume down + power. It will ask you to update firmware, press Volume UP to select YES. When it's done, Boot into Normal Boot, delete the PC49IMG.zip. 6. Click install zip from SD card > Choose zip from SD card. Then locate the su-2.3.6.1-ef-signed.zip and let it install. DONE! Your phone is rooted! 1. Download the latest CyanogenMod version HERE and Google Apps HERE, add to SD card. 2. ReBoot your phone to Recovery by pressing Volume Down + Power Button. 4. Let it update. Mine takes less than 10 minutes. 5. Click install zip from SD card > Choose zip from SD card. Then locate 'gapps-gb-20110613-signed.zip' and install it. 6. Once done, ReBoot into Normal Boot. Your phone should now boot into CyanogenMod. Enjoy Android 2.3.3 Gingerbread!!! You can also use the instructions above in other Android phones. Go to CyanogenMod Wiki for the complete information and lists of supported devices. It's been exactly six months since my last post and I realized that I need to update this blog. I just remember that Apple will have an announcement about its second-gen slate. I'm not an Apple fan-boy, I just want to update my blog, sorry Apple users. Apple is finally ready to roll out its next-generation slate. 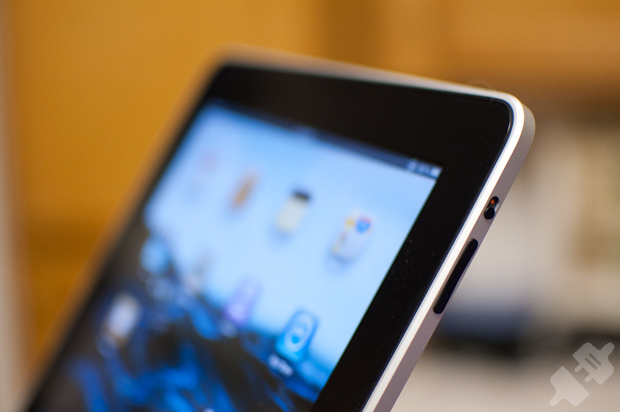 The iPad 2 Announcement is set for March 2, 2011, Wednesday. The first-gen iPad actually looks quite good (not bad at all), but it would have been better with Flash and Camera. Apple event on Wednesday will take place in San Francisco's Yerba Buena Center for the Arts. What we expect from Apple's latest tablet? We all know that Apple's iPad 2 will compete with rival companies such as Motorola (Motorola Xoom) and Research in Motion (BlackBerry Playbook). I'm expecting a lighter and thinner iPad with a front-facing camera, possibly a mini-USB port and Intel's brand-new connection technology called Thunderbolt, also known as Light Peak. Apple Event Live Video Channel here: CHANNEL 1. That's all for today. Thanks for reading. After the Blackberry OS 5, Research In Motion Ltd. announced the new BlackBerry OS 6.0. RIM's new operating system for BlackBerry smartphones will be released in the 3rd quarter this year. The BlackBerry 6 features a new web browsers and new user interface. Research In Motion Co-CEO Mike Lazaridis said, it has more media capabilities and tabbed browsing for access to multiple web pages at the same time. The latest BlackBerry OS 6.0 is now available for BlackBerry Torch 9800. According to the report, It is also available for Bold 9700, Bold 9650 and Pearl 3G in third quarter of the year 2010. It has been said that, BlackBerry 6 will come both in QWERTY and touchscreen devices. Still, no official reports or updates for BlackBerry Storm 2 9550. Here is the Sneak Peek for RIM's BlackBerry OS 6.0.